Just days before the start of the VELUX EHF FINAL4 2017 in Cologne, the event’s organiser, EHF Marketing GmbH, has announced a full-house of partners and sponsors as well as a record number of TV stations covering the event. With entertainment from English pop star and former ‘Spice Girl’ Melanie C, the most comprehensive TV coverage yet including the first 360° TV production in handball as well as top-class sports action from the four semi-finalists (FC Barcelona Lassa , Paris Saint-Germain Handball, HC Vardar and Telekom Veszprém), this year’s VELUX EHF FINAL4 looks set to once again establish new standards on the international sports market. There has been unprecedented interest from brands wanting to take advantage of the brand exposure and activation opportunities offered by the VELUX EHF FINAL4 platform. So much as that EHF Marketing GmbH has announced the sale of every available sponsorship package for the event. The existing sponsor and partner line-up in the VELUX EHF Champions League, including the VELUX Group (title sponsor, building industry); UNIQA (premium sponsor, insurance); Salming (official sports outfitter); SELECT (official ball supplier) and Gerflor (official flooring supplier) will be joined by six new event sponsors. Companies joining the line-up include: Gorenje (home appliances); Cashback World – operated by Lyoness (Official Cashback Card Provider); Admiral (betting); Husqvarna (outdoor power products); SAP (enterprise software) and Engelbert Strauss (work-wear and personal protective equipment). Additionally, the Croatian Handball Federation will be a partner and will use the opportunity to promote the Men’s EHF EURO 2018, the next major international handball event, to the 19,750 handball fans travelling to Cologne. 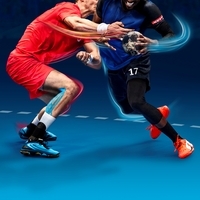 Event sponsors will receive extensive brand exposure on TV through on-court and perimeter advertising as well as logo presence on the official website, ehfFINAL4.com, in the event magazine and on media backdrops and event branding. Companies will also be able to take advantage of corporate hospitality opportunities over the weekend. The event will be seen by millions across the world thanks to extensive coverage through EHF Marketing’s TV partners. 40 television stations will carry the event live or on-demand, with the highlight of the season to be beamed into the homes of sports fans in more than 80 territories. Worldwide coverage is guaranteed through the EHF’s own OTT platform, ehfTV.com. The TV production promises to be the most extensive yet at a major handball event. A total of 26 television cameras will be in use as well as two mobile cameras providing additional content for TV partners. The ‘Ref Cam’ used last year for the first time will be back and there will be several new camera angles including cameras on the officials’ table, providing a further alternative view of match action. This year’s VELUX EHF FINAL4 will see the first live broadcast of 360° video for viewers following on social media. Users will be able to immerse themselves in each of the opening shows as well as the performance of Melanie C live in 360° on Facebook and YouTube. Match action from this unique perspective will also be available in the week following the event. Even before the first matches throw-off in Cologne, experts will be discussing just how technology will impact the game in the not too distant future at the ‘European handball goes Tech’ business event, taking place on Friday, 2 June from 15:00 hrs in KölnSKY. Over 100 invited guests will be at the event to listen to the EHF and EHF Marketing’s vision of the future of the sport. Technology already plays an important role at EHF events, especially in game administration. At the VELUX EHF FINAL4, referees will once again have access to goal-line cameras and will have the ability to look back on match situations using instant replay video technology courtside. Decision making will be further assisted by the ‘goal-light’ system in use indicating time-outs and the end of play. Snapchat, Facebook, Twitter & Co.
With a large media team from the EHF and EHF Marketing on-site, handball fans will have access to extensive behind-the-scenes and exclusive content across all of the media social media channels throughout the event on Snapchat (ehf_live), Facebook, Twitter, Instagram and YouTube. Social media coverage will complement the news and reports on the official website, ehfFINAL4.com, and video content and streaming available on ehfTV.com. Following the allocation of tickets to the four VELUX EHF FINAL4 teams, the last few remaining tickets are still available in the ticket shop at ehfFINAL4.com for those who do not want to miss out on the biggest event of the year.